This week on The Bugcast: our annual Christmas music special, featuring 8 great tracks of independent and Creative Commons music Lorenzo’s Music, Leo Bowers, Carrington MacDuffie, Crazy Quilt Bouquet, kangsinu, Sleeping Sky, ccMixter & Jamendo, and I’m Fresh, You’re Pretty. This week on The Bugcast: we talk about Spotify and the BBC Music awards, plus we play 8 great tracks of independent and Creative Commons music from Kismet, Live Hart, Vienna In Love, Lorenzo’s Music, 10CentSunday, Kendra Logozar, Plug&Play, and Elyes Landoulsi. 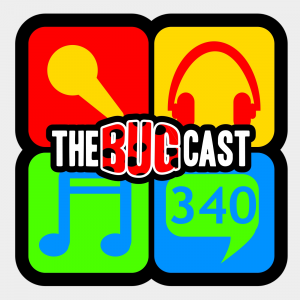 This week on The Bugcast: we celebrate our 300th episode with our listener’s choice of tracks from the last 2 years. Tracks played from Absent Feet, Chasing Eidolon, Lorenzo’s Music, The House of the Old Boat, Paradile, Loveshadow, Glasgow, Amanda Palmer & The Grand Theft Orchestra, Professor Elemental, Contreband, Aviator Shades and Chamber Of Echoes. This show nearly didn’t happen, due to networking issues here at Bugcast Towers. Still we prevailed and present to you a mostly music show featuring 8 great tracks from Relevant Discord, Tryad, Shirley Beans, Lorenzo’s Music, Bandrauschen, Jonnie Murphy, The House Of The Old Boat and Decode. We’re still fighting off the late stages of whatever has been plaguing us for the last couple of weeks, but we make up for it with some amazing music from Tongue, Stone Pony, Necessary Road, The Glass Child, Deadalus’ Right Eye, Single Bass, We Come From Waters and Lorenzo’s Music.